That's "The Future," the theme that Asuka has been using since her extremely dominant run on NXT. From the moment this song debuted, it immediately stood out. It wasn't necessarily because of its musicality, but because of the fact that Asian wrestlers stereotypically got entrance themes that sounded like their ethnicity or their culture. From Taka Michinoku to Tajiri to Kenzo Suzuki to Funaki, all of these Japanese wrestlers had either Japanese-sounding themes or songs that made fun of some form of Asian stereotype. Asuka's stands out because it's a song that a Superstar of any color can use and it'll fit as long as it's aligned with their gimmick. There were no stereotypes brought into the track, no audible inkling that the Superstar using it hails from the Land of the Rising Sun. Now, I'm not saying that it's automatically bad for a Japanese Superstar to have a song that sounds Japanese. Look no further than Shinsuke Nakamura—a guy whose entrance theme is so popular because it's so damn good that it didn't matter that it sounds like a theme from a boss battle in an anime or a video game. With all that said, let's break this song down. It starts with a hook that calls attention to the stage from which Asuka enters. It sounds like a UFO is hovering or there's some engine running and building up to the guitars and the drums. When they come in, they do so at a cadence not unlike a marching band. And when the beat drops and the vocals come in, you're taken to a psychedelic dimension of broken bones and shattered dreams. I used the word "psychedelic" because the song is a spiritual successor to John Morrison's WWE theme, "This Ain't No Make Believe." The distortions in the guitars and in the vocals make it sound like the song is being transmitted from another dimension—or the future (gasp!). The wah-wah in the guitars—and to an extent, the vocals—is what really makes the song special because of the intergalactic texture that it adds to the song. As for the lyrics, "The Future" paints an accurate picture of what Asuka is. Her arrival in the WWE signaled the next phase of the Women's Evolution. Here is someone who seems enigmatic because she is foreign. She's colorful and beautiful, but also very dangerous. She comes from far away and she'll be the force of nature that comes to take down the past and present. She is the future. That's the message of the song in a nutshell and it encapsulates Asuka's "Empress of Tomorrow" moniker perfectly. In terms of composition, this song follows the CFO$ mold of repeating the same verse over and over again. 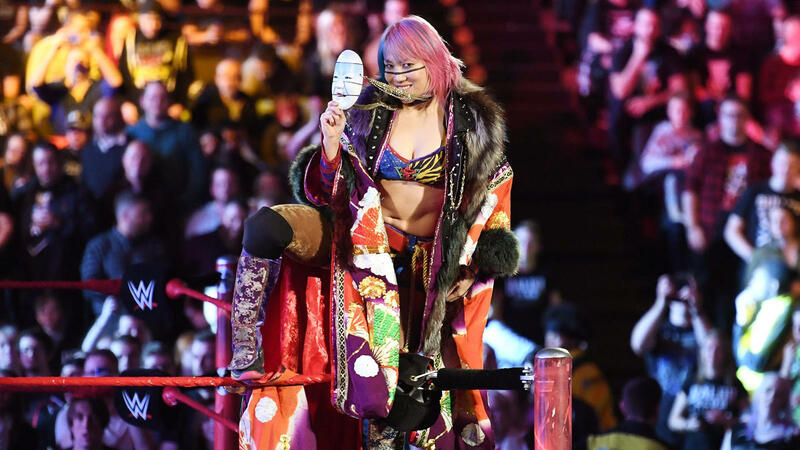 While I did notice it when Asuka's song played over and over again when she bid farewell to the NXT Universe, it was more apparent when I played the song on YouTube to dissect it in this column. Even though it's essentially a loop, don't let that stop you from enjoying the song. It's a great track to add to your cardio playlist, so hop on that treadmill and start running! I'm glad that two years after her debut, Asuka is still a big deal and that everything about her is still over. I say "still" because knowing RAW and its "creative process," the possibility of Asuka's character getting diluted like Bayley is on the table. And that's not a comforting thought at all. So instead of focusing on that looming negative outcome, I'm just going to play her theme again. She is the future after all. She is the Empress of Tomorrow.